In our original work we spent a lot of time thinking and re-thinking what information literacy is, how it relates to other literacies and whether it needed to be redefined. In 2012 shortly before we published the book Rethinking Information Literacy we came up with our definition of IL. 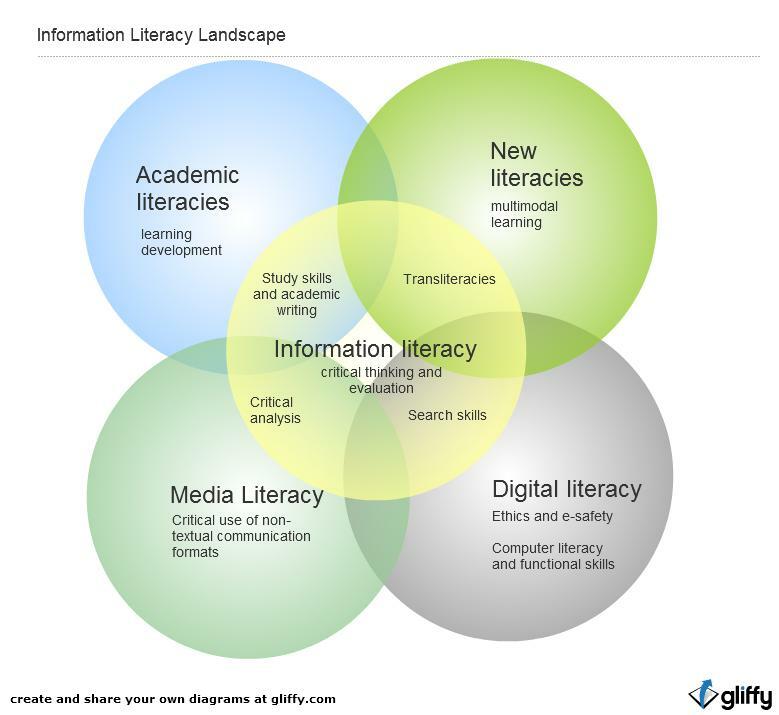 Below is the image that represents how we see information literacy relating to other literacies.